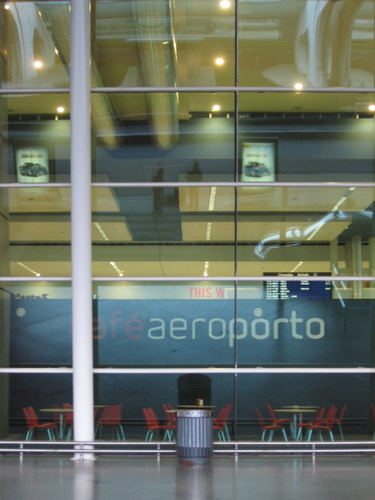 There are affordable European and oversea flight connections to the nearby Oporto airport (called “Francisco Sá Carneiro”). Here is a list of low budget airlines with connections to Oporto. In any case, it is critical to make a flight reservation at your earliest convenience since the flight tickets get considerably more expensive as we approach real summer. Like in previous GTTSE instances, we will organize a shuttle on Sunday, July 3. We will not organize any shuttle on Saturday, July 2. If you are attending SLE, you should travel to Braga by public transports (see bellow). Taking a taxi is the simplest and the fastest way (45 min). The distance between the Oporto airport and Braga is about 50km by road. The cost of traveling from the airport to Hotel da Falperra in Braga should be around € 60. One can travel from the Oporto airport to Braga by metro and train via the Oporto city center. Take the metro to Oporto Railway Station "Campanhã". Line E (Violet) goes to "Estádio do Dragão". Leave the train at Campanhã. The metro ticket should cost you around € 2. Take a train from the Campanhã train station to Braga. The train ticket should cost you about € 2. Please check the timetable to choose the schedule that best suits you. Take a taxi from the Braga train station to Hotel da Falperra. The taxi fair should be under € 10. For those who drive to the hotel by car, here are some driving instructions. When reaching the city of Braga, start looking for signs saying "Bom Jesus" (a landmark church in the hills of Braga). You should follow the signs to Bom Jesus, leading you up hill through some hairpins, and you will start seeing signs pointing you to "Sameiro". Follow these signs to Sameiro until a roundabout where you keep right, in the direction of "Falperra", indicated by signs. Keep following this road until the Hotel da Falperra shows up on your left side, right before a hairpin corner to the right. Contact the hotel at (+351) 253 240 700.